The ongoing government shutdown in the U.S. is now the longest in the country’s history, and there’s no end in sight. At midnight on December 21st, the government shutdown officially began after President Donald Trump and Congress failed to pass all 12 appropriation bills. The appropriation bills determine the budget for each section of the government. However, as the bills were not passed, this resulted in the government shutting down. Federal employees in the affected section deemed non-essential are placed on unpaid leave while essential employees continue to work without pay. Trump did, however, pass a bill on January 15th stating that all employees (essential and non-essential) will receive back pay. A poll from Quinnipiac University stated that the majority of American voters think something needs to be done about border security; however, 56% of American voters oppose building the wall and 62% oppose shutting down the government because of funding for the wall. As stated by news source Aljazeera, the shutdown has now affected 800,000 federal workers who are beginning to take a stand. Federal employees are increasingly calling in sick and a national sick day is being planned to protest the shutdown. Citizens are also feeling the impact of the shutdown. 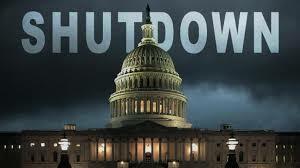 What do you think of the current government shutdown? Leave your reply in the comments below.